First appearances | What Car? 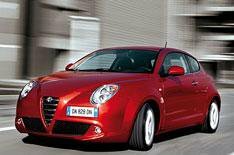 The Mito will go on sale in mainland Europe next month, but we won't see it on sale in the UK until early next year. Alfa Romeo hasn't released any information on prices, either for the UK or for the Continent, but it's thought that the Mito will cost from around 12,500.